I’m Roy, a Marketing Director at It Rate. Green Glory company is almost like a MLM system. .where we are told to join people and send the money to unlined. 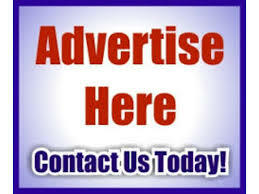 Hey, are you interested in monetizing your website? We are building links for a client of ours and prepared to offer you good money for a simple link insertion. getting numerous calls about software refunds. All different phone numbers, same thing. They say I have a refund coming to me that I know I don’t have. Claimed they are from Quantum Technologies. Have at least 8 different numbers. We need to stop this stuff. I was scammed twice. Once on phone and one online. This is regarding my complain againts Network marketing company called Viva auysh who sells Water purifier and Health products. I came in contact with them from my freind who had taken membership in this company by paying a sum of 150000, there main funda is to get more and more people to take agency and once that is done they search for othother members, they are least bothered about selling the products. They conduct seminars and workshop but the payment is taken from the members who visit them the amount may differ from rs 3000 to 2000 but in the workshop they just give information regarding how to brainwash other people and make them fall under this pit there top leaders work in a type of dictatorship and teel us to blindly follow them and advise on how to brain wash people they are least bothored about there products. they tell you to buy cars just to showcase others inspite not earning themseld, they tell you top take a loan, some persons have even taken loans up to 4 lacks only becaus of the sheer pressue of the leadership. in the workshop they tell that some of them have even earned crores of rupees with in a duration of six months some of them have even left there well setteled job for this. This is because there managemnet advices this which i am a witnees to. This can hamper a lot of people and there lives. Also to add thes they try to attracet people from rural areas wher employment rate is low. Kindly have a serious look ito this matter. Please do get back to us if any other infromation is needed. Is there any company in India in the name of My recharge pvt.ltd. what is the MLM rank and what is their product ?